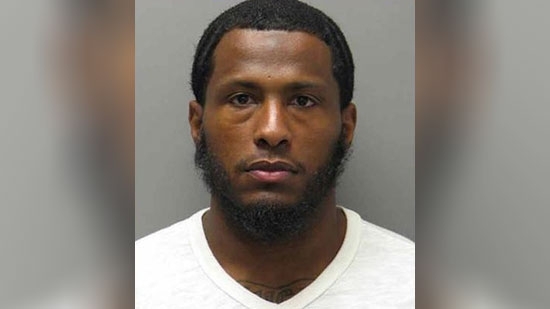 A Delaware man allegedly abandoned his 5-year-old son in a car while fleeing from police on Wednesday morning in the Wellington Woods community. New Castle County detectives attempted to pull over 28-year-old Malik Brown around 10 a.m. after reports he was selling drugs. Brown sped off in his red sedan. Police found the car moments later. Brown had fled on foot and his son was left inside. Police took him into custody after a brief foot chase. Brown had thrown 169 heroin capsules away as he fled. They found 221 more inside his car along with $2,948. He is charged with possession with intent to deliver heroin, endangering the welfare of a child, resisting arrest, and more related charges. The boy was unharmed and did not need medical attention. Brown is being held at Howard Young Correctional Institution after failing to post $25,000 bond. The jury in the Bill Cosby trial broke deliberations for the evening around 9 p.m. on Day 4 after nearly 40 hours. At around 11:30 a.m. on Thursday, they said they "cannot come to a unanimous consensus on any of these counts." Judge Steven O'Neill instructed the jury to keep trying. He gave them an "Allen charge" or "dynamite charge" to motivate them to reach a decision. They will continue discussions on Friday morning. Former Philadelphia Mayor John Street was at City Hall today for the unveiling of his official portrait. He was joined by current Mayor Jim Kenney and former Mayors Ed Rendell and Wilson Goode. Street served from 2000 to 2008 after 19 years on City Council, 7 of which as Council President. View the unveiling video below. The annual Congressional Baseball game went on as scheduled on Thursday night at Nationals Park in Washington, DC. This comes one day after a gunman opened fire on the Republican team practice in Alexandria, VA, injuring 5 people including Congressman Steve Scalise of Louisiana. Rep. Scalise was shot in the hip and is under going a series of surgeries to repair damage to internal organs. The game has been played since 1909. Historically the record between the Republicans and Democrats is 39-39-1. It raises money for the Boys & Girls Club of Greater Washington, Washington Literacy Center, the Washington Nationals Dream Foundation, and now the Capitol Police Memorial Fund. Tonight, the Democrats won the game, but offered the trophy to the Republicans to place in Rep. Scalise's office.